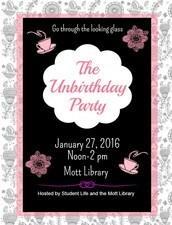 You are invited to an Unbirthday Party! What's an unbirthday party, you ask? Is it your birthday? No? Then we're celebrating your Unbirthday! 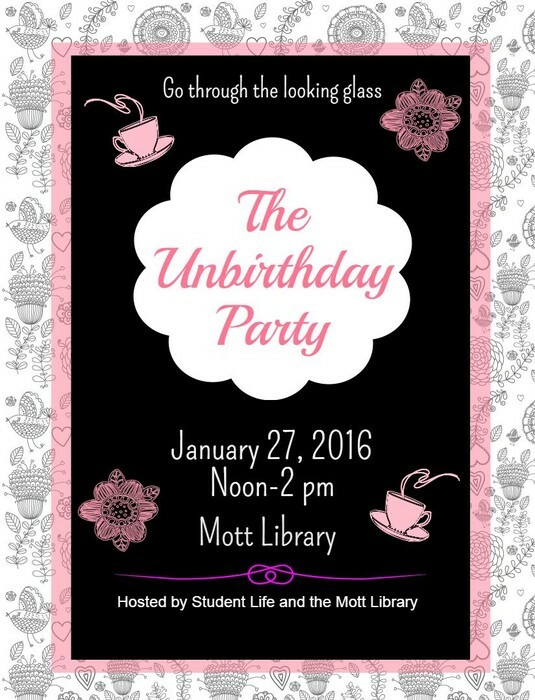 Join Mott Library and Student Life on Wednesday, January 27 for our version of an Unbirthday Party. There will be treats, fun, and a display of Lewis Carroll's beloved books featuring Alice and her friends. Come check out our new display. It's that time of year again; when everyone makes New Year's resolutions to lose weight, exercise more, eat right, or get in shape. 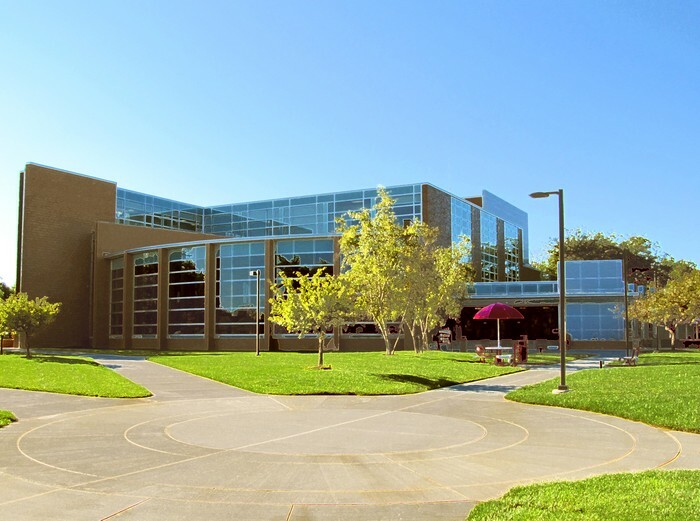 The Mott Library can help you in your quest for a better figure. 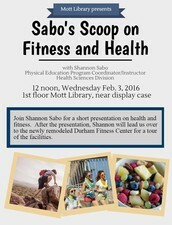 Check out our latest showcase on Fitness and Nutrition. We've got some great books to help you stay motivated, learn what to eat, and how to get in your best condition. 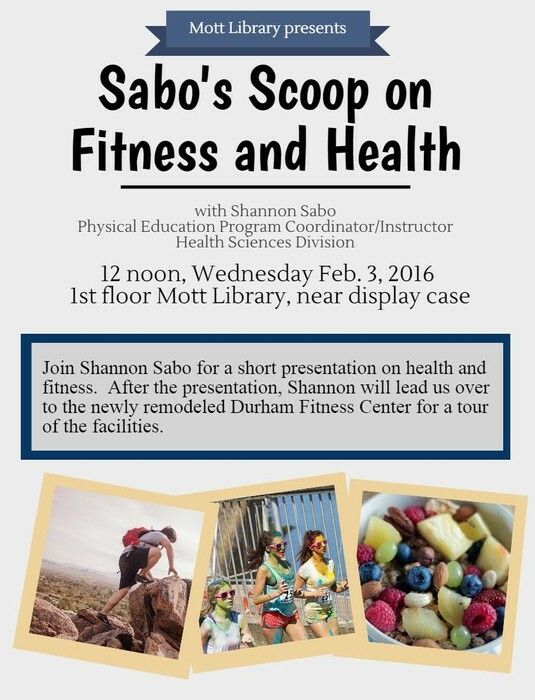 We will also be hosting a short presentation by Shannon Sabo on Health & Fitness, Wednesday, February 3 at noon. Learn how to borrow materials from other libraries in Michigan with MeLCat.